Each year at Toyark, we compile as many of the toy deals as we can find for Black Friday. This year is no exception. Toy deals are still coming in, but we’ve already compiled a huge list of stores and their deals. We’re going to try and be your one stop spot for all Black Friday toy deals. Check out our Black Friday Toy Deals Thread to see all that we’ve listed so far. Photo originally posted by mahalohowto.com. The above link has all of the toy deals I have been able to find at the moment. Will be adding more up to Black Friday. Use this thread to talk about the deals and such. Yeah maybe a Cyber Monday section too. Cyber Monday has been a lot harder to tackle. Most of those aren't revealed until the day before, since there's no actual ad to leak. Same with Amazon. No physical ad, means no ad to leak. If they put up a listing of their actual Black Friday listings (not their daily deals), then they will be added. Thanks for putting that much work into it. This year I might actually go to one store. Walmart's Black Friday Toy Deals have been added. Hm...I wonder what the Transformers Power Core Combiners Value Pack at Wal-Mart is gonna be. Sounds somewhat tempting for $10. USA gets Black Friday, Canada has Boxing Day. 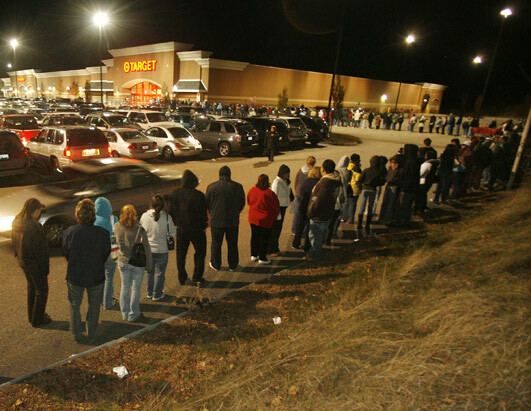 Essentially it's stores that get insanely good deals on a hand full of items with limited quantities so you get tons of people lined up and even camped out to get the savings. The difference is Black Friday happens before xmas and Boxing day is after. 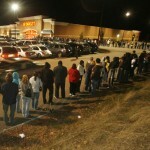 I remember waiting at Futureshop for 7am when the store opens at 10, to get guita rhero half price. I wish we had as many of the retail outlets you do and had the same selection. No you don't. Seriously, it would just make your country as reliant on retail chains as we are down here. I'm not saying I want the super deal of the day, but the variety in selection of goods help keep costs low by creating competition, when there's no competitors places charge what they want and get away with it. There's no target, toy r us, etc in my area. And then when you try to shop online Canadians get the shaft in selection, ex search MU figures on the tru.ca vs .com site and tell me u don't see a difference! Ah life as a Canadian, when the world thinks we have free healthcare, when we really don't. Is getting American retail price such a bad thing to ask for? "ON SALE AT TRU FOR ONE DAY ONLY. ALL MARVEL 3 3/4 FIGURES ARE 7.99!" Essentially it's stores that get insanely good deals on a hand full of items with limited quantities so you get tons of people lined up and even camped out to get the savings. This happens in the US, and in November before xmas comes so you have hundreds of thousands of people shopping trying to get these massive savings for presents. Some stores have a sale on entire departments and lines others have "door crashers" like a $1000 tv for $200 as an example.